Less than a month after reports circulated that Whitney Houston's family, as executors of the late star's estate, had filed a petition against her daughter, Bobbi Kristina Brown, in an effort to modify the 19-year-old's inheritance payments, the Huffington Post reports that the case has apparently been settled. 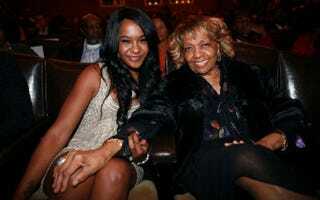 Sources tell TMZ, that Kristina and her grandmother, Cissy Houston, have reached an agreement to leave the teenager's $20 million payment plans unadjusted. As the agreement currently stands, Brown will receive 10% when she turns 21, 20% at age 25, and the remaining amount when she turns 30. The singer's mother, Cissy Houston and sister-in-law/business manager, Pat Houston originally sought out to revise Brown's inheritance payments citing that she "is a highly visible target for those who would exert undue influence over her inheritance and/or seek to benefit from respondent's resources and celebrity." Last week while promoting their new Lifetime reality show, "The Houstons: On Our Own," Cissy and Pat Houston appeared on "The View" to discuss their new series, which included a scene of Bobbi Kristina drinking a mimosa. As Pat Houston explained to show hosts, Barbara Walters and Sheri Shepherd, guiding Brown into the right direction is a work in progress. "She's not in trouble as it relates to drinking," she admitted. "I had concern sitting there watching her. I don't like it at all. But this was her reality, even before her mother passed. I don't like it, but we're working on it. She's growing…we're seeing her more; we're dealing with life management skills as it relates to Bobbi Kristina." From some of Bobbi Kristina's public appearances, it seems the family has a right to be concerned. Let's hope there are caveats in the agreement that will give her the support and guidance she needs. What do you think? Should she receive the $20 milllion inheritance unadjusted?